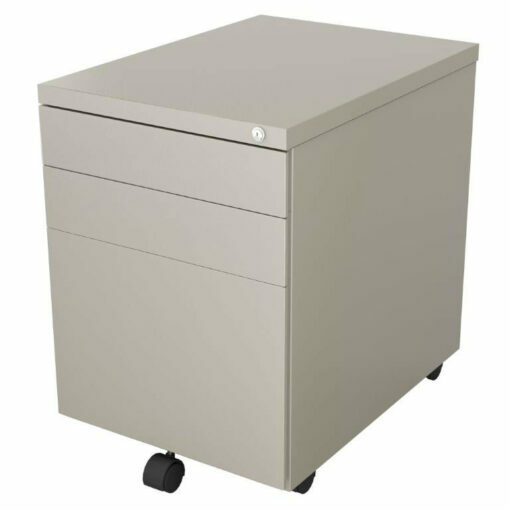 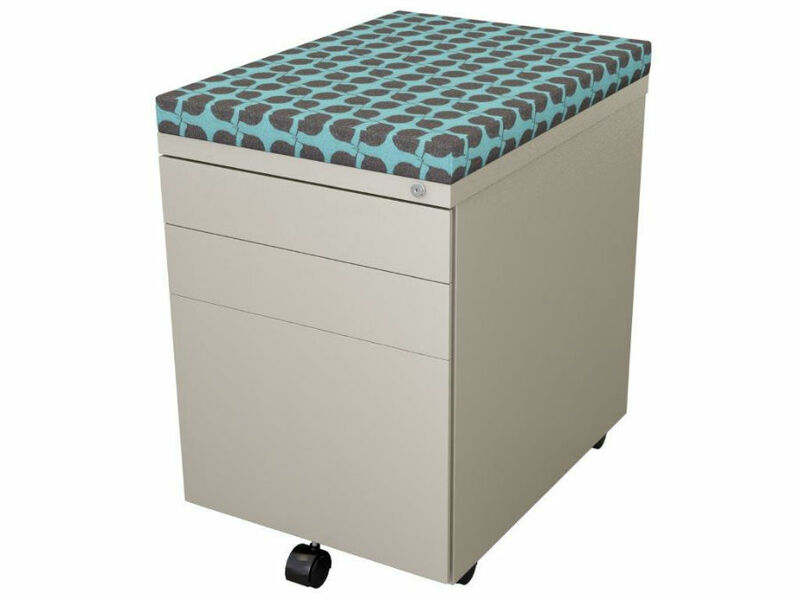 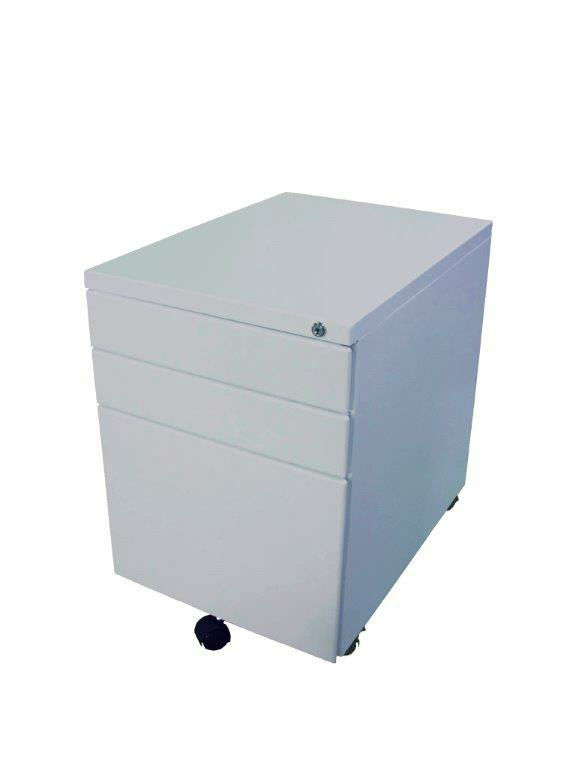 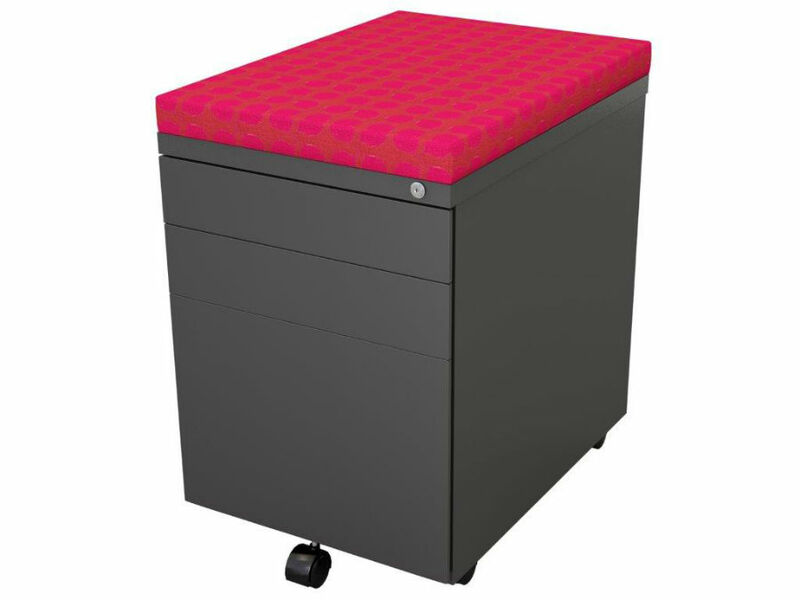 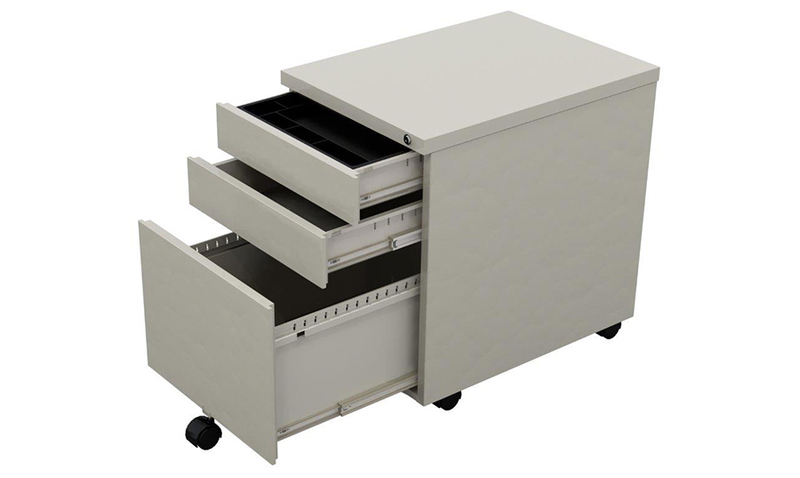 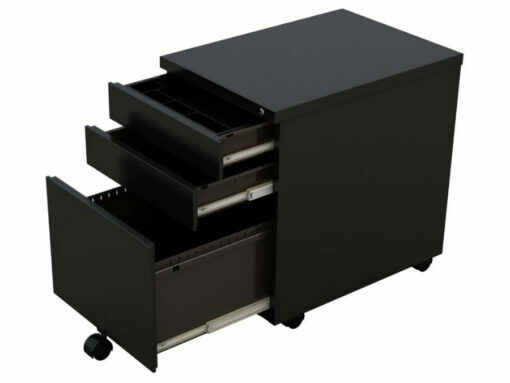 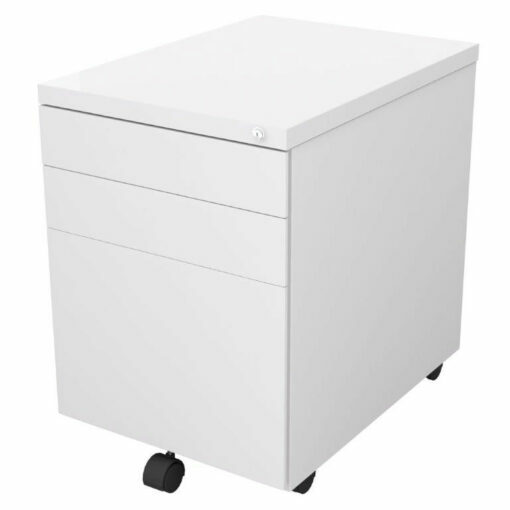 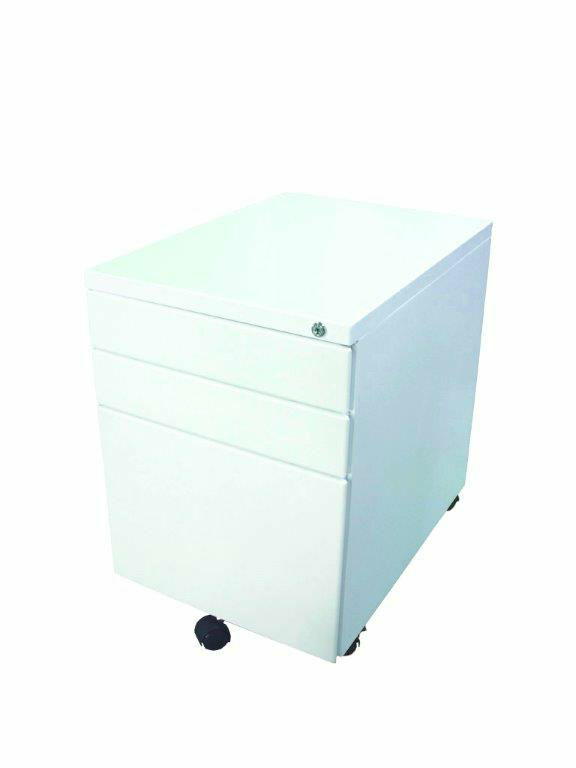 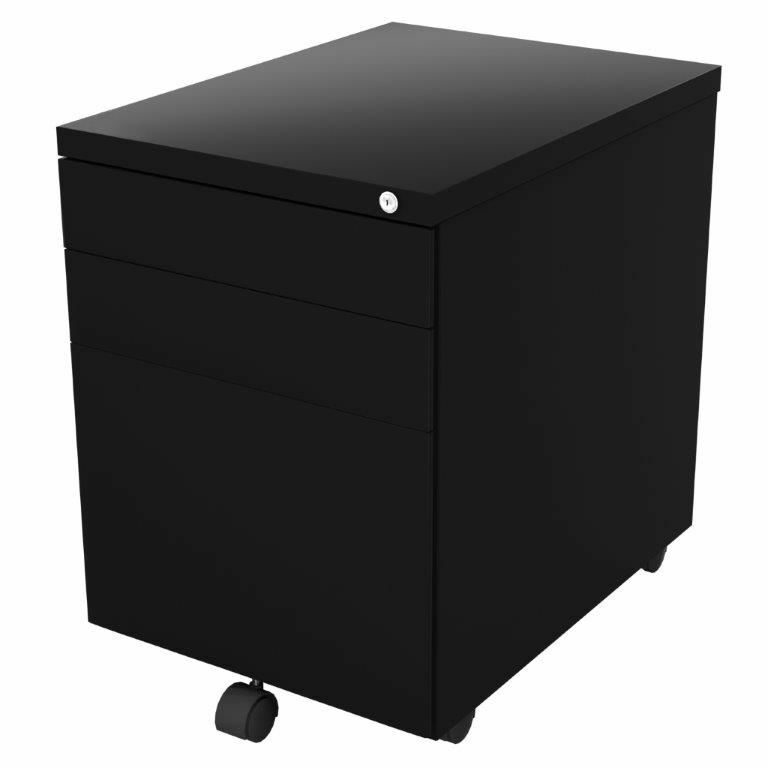 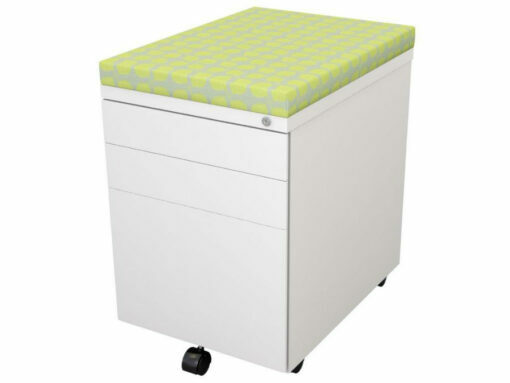 Three lockable drawers conveniently split into two pen and one file drawer offer a generous amount of storage capacity. Huey features a 5th wheel for anti-tilt stability and two lockable castors while users benefit from quiet full extension linear ball bearing drawer slides for effortless drawer access. Huey's exclusive design enables fitment under telescopic and static beam workstation and desk systems including Element, Matrix, Evolve and Quad. 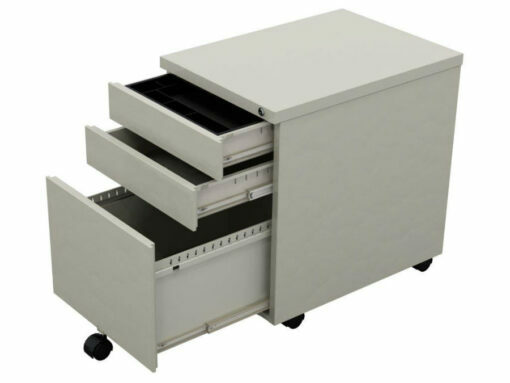 Available in three standard finishes (Black + White + Silver), Huey can also be powder coated to your requirement (POA).